The East shuttle terminus has moved to Ellis Garage. Due to noise complaints from Max Palevsky residents, the East route of the NightRide shuttles will undergo its second change this year. Beginning Thursday, its terminus will move from its current stop at East 56th Street and South Greenwood Avenue to Ellis Garage, located across from the Ratner Athletics Center. 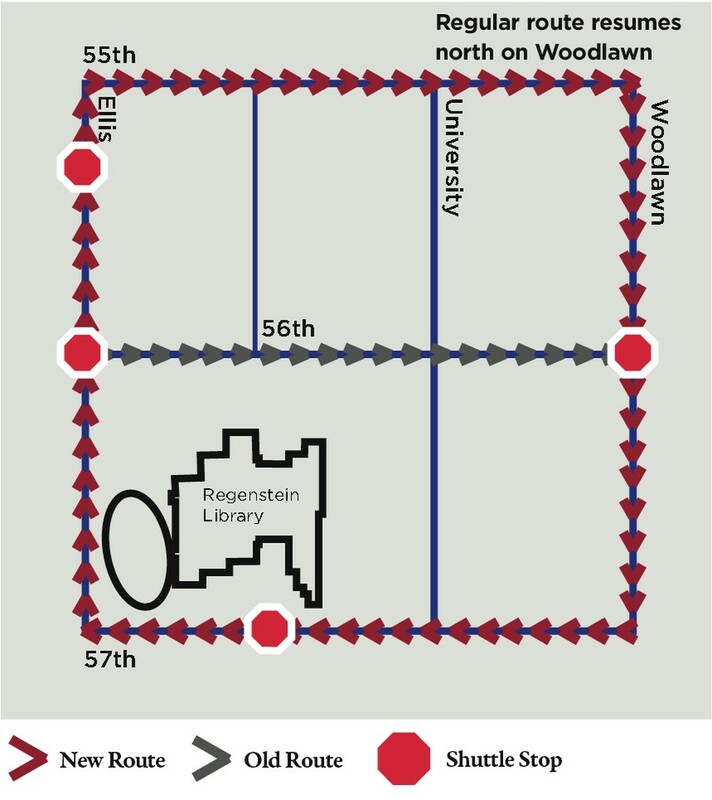 At the beginning of this year, the East shuttle switched its terminus from the front entrance of the Regenstein Library on East 57th Street to East 56th Street near Max Central, in response to congestion and pedestrian safety concerns. In order to satisfy the noise concerns, the shuttle will avoid East 56th Street entirely. Instead of turning east onto East 56th Street, the shuttle will continue north on South Ellis Avenue to Ellis Garage, where it will idle until the next scheduled departure. It will then turn right onto East 55th Street before turning left onto South Woodlawn Avenue, from which point the route remains unchanged.